The Women and Girls in Eastern and Southern African Democracy Development project will produce 24 radio programmes which belong to the community radio Robin Hood (Turku, 91,5 mHz), which is run by the Turun lähiradioyhdistys organisation. The duration of each programme is 30 minutes. The programmes will be broadcasted in both Finnish and English, and there will be two reruns. They will also be broadcasted by radio Moreeni (Tampere, 98,4 mHz) and Helsingin lähiradio (100,3 mHz). In addition, they will be offered to Radio Pro (Tornio) and Radio Inari. All the programmes can be listened anywhere through Radio Robin Hood website, where the audience can find the project description and short descriptions of each programme in both Finnish and English. The programme series will also have its own Facebook page. The programmes will be made by journalist Thierry Francis Mbabane and translated into Finnish by translator Annukka Kolehmainen. The duration of the project is 12 months. - Women and girls rights in relation to democracy development. - Sustainable development in the use of natural resources: sustainability of food economy, women and girls right to land, food, water and energy. - Women and girls rights in the media, the way they are handled by the media in relation to the aforementioned points. - The programme series will also follow the results of development projects and investments of Finnish companies, as well as Finnish business cooperations with small businesses and cooperatives in Southern-Eastern African countries. Though men still may be the main breadwinners of East African families, women are often the ones taking care of/making decisions on food security and sustainable ways of living/running a household, and passing e.g. environmental and democracy values to their children. They already have a big influence on grassroot level, but there still are many factors preventing their social, economic and political equality. Women are the pillar of our society. Yet they face an array of unfair boundaries that prevent them from playing these role to their full potential. In this very first show, we tackle issues related to economy, education, and information communication technology such as M-Shwari (M-pesa) which is a paperless banking service offered by Safaricom. Gakuru Albina is a PHD student at Abö Akademi university at the Gender Studies Department. She talks to us about her on experience as an african, or precisely a kenyan woman who witnesses inequality, poverty or even violence, that her fellow Kenyan women are going through. African women are both economically active and highly entrepreneurial. However, they are mostly in low-value-added occupations which generate a little economic return. In this show, we take into consideration a poor woman who lives in a slum, for an example. She wants also to generate some income and be able to pay her bills by her own. What are opportunities open to her for access to credit or other financial services? Gakuru Albina is again our guest in this show. She is a PHD student at Åbo Akademi university at the Gender Studies Department. She talks to us about her experience as an african, or precisely a kenyan woman who witnesses inequality, poverty or even violence, that her fellow Kenyan women are going through. Episode 3 - Colonialism: Would UN’s development tools respond to african gender puzzle? After 7 decades of many african countries independency, colonialism is still a fragile topic between African women and men. It has been a man's advantage as it empowers him. On the other hand woman starts asking questions about equal rights. These are questions that should have been taken into consideration during the fight against colonialism. The following two radio programs reflect on how women were affected by colonialism. They tackle questions about what is being done to integrate them in the process of decolonisation but also social development. This specific show discusses about suggested United Nation’s tools which are set to tackle gender and community development. For instance, UN’s millennium development goals that ended in 2015 and the 2030 agenda for sustainable development. We look at how they respond to specific problems such as education, for instance. Faith Mkwesha is our guest to day. Faith is researcher in Gender studies department and also a teacher of Gender in African literature. Before colonialism, the african culture gave women equal opportunities as men, to build their future. However, many experts believe that colonialists had to refer to gender reforms in order to have power on native’s behavior. For instance, in the new theory, women could not go to public places, they could not become leaders and they could not work and make income. When the fight against colonialism was somehow won, imperious african men took advantage of the existing chaos to carry on the gender prospects as they were brought to them by white men. This show is about women’s situation during pre-colonialism time and what decolonisation means to them. Faith Mkwesha is our guest. She is a researcher in Gender Studies department at Åbo Akademi University in Turku (finland) and also a teacher of gender in african literature. Providencia Limited and Inter-cultur together are finish organisations involved with education programs in Bolivia, Lebanon and Kenya. Their expertise gives us an idea of what kind of education young people are benefiting, for instance in Kenya, and how this education will impact in the long run kenyan informal sector. However it is not an easy job as there are several obstacles. Santi Martinez is our guest in this show. He is a teacher at several universities and owns Providencia Limited company which focus on leadership here in Finland. We already discussed a situation of an African woman about many social and economical point of view. This program brings to us another perception as we chart with two young females who study here in Finland. We had good time talking about education, job opportunities back to Africa but also culture and gender issues. Elsabeth Wamboi has graduated in International Business then decided to pursue her studies in nursing and Sarah Makona is an exchange student basically residing in Holland and they are originally come from respectively Kenya and Tanzania. Freedom of information in Somalia suffers from corruption, political violence, and the central government’s extreme weakness. The practice of journalism is not easy in this kind of environment. In this show, Mohamed Ibrahim shares his experience with us, Mohamed is a somali journalist who is in exile here in Finland. The Finnish Foundation for Media and Development (VIKES) is devoted to supporting freedom of expression where it is threatened. The latest Reporters Without Borders report indicates that the state of press freedom is currently more alarming especially in so called “democratic countries.” How does VIKES approach the situation and what kind of programs it implements to keep up the quality of journalism in different countries, Finland included. Esa Salminen is our guest today. Esa is a press officer at VIKES. An anthropologist by profession, he has a long experience in development and communication with different Finnish organisations. The Finnish Foundation for Media and Development (VIKES) has run several activities in Tanzania for a decade. The practice aimed to give knowledge and skills to local journalists and journalism teachers, in order to perform their duties with good quality and within ethics. Our guest Peik Johansson will explain more about the impact of this work within communities in Tanzania. Peik Johansson is Programme Coordinator at Vikes, responsible for coordination of media support programmes in Somalia, Nigeria and Tanzania, including also facilitation of journalist training. He is also a journalist who does programmes and feature stories mostly for Yle Radio 1 (Kolmannen maailman puheenvuoroja programme) and Kansan Uutiset (the Pintaa syvemmältä full page column every second week). The work of The Finnish Foundation for Media and Development (VIKES) in Somalia is more about promoting the country’s peaceful transition to rule of law by improving public access to information. We already know the state of security in Somalia, which is even worse to journalism space. To improve the proficiency of journalists, their scope of activity and safety might not be an easy job. Peik Johansson was there since the beginning of the project. He is our guest today. Peik Johansson is Programme Coordinator at Vikes, responsible for coordination of media support programmes in Somalia, Nigeria and Tanzania, including also facilitation of journalist training. He is also a journalist who does programmes and feature stories mostly for Yle Radio 1 (Kolmannen maailman puheenvuoroja programme) and Kansan Uutiset (the Pintaa syvemmältä full page column every second week). Tumanini Dar Es Salaam college (TUDARco), based in Tanzania, is a centre for quality education, offering a diverse range of academic qualifications. TUDARco along with Turku university of applied sciences (Finland) has started to perform an idea that brings students, in one hand, and entrepreneurs on the other hand, to assist each other in a learning process. For example, students of business school gain skills about the experience of how the market works in a real life. And entrepreneurs expand their knowledge about official information that they normally lack in their fields, or ideas on how to achieve their objectives through different new information communication technologies. All these practical actions are part of a big project - IRIS designed and executed by both education institutions. Our guest today is Ritva Hyttinen, the project manager of project IRIS, I met her, sometime in August 2017. Liike ry is a sport and development finnish non- governmental organisation. Sport is perceived by Liike as a tool to extend the number of children who attend school in Tanzania. In this show, we want to know what exactly Liike is doing and how all these activities affect communities in respective regions where Liike operates in Tanzania. Ari Koivu is our guest. Ari is the Executive Director of Liike ry. Episode 13 - FC Vito: Improving life standard of young girls and boys through soccer. The FC Vito is a soccer team for boys and girls based in Tanzania. It is also a program of Liike ry which aims to improve the life standard of girls and boys who join the team. The team has changed many lives since the beginning of the project. In this show, we will look at FC Vito activities in Tanzania and how important it is for the society. FC Vito was in Finland to participate in Helsinki cup which began on 10.7.2017 to 15.7.2017. About a million and a half habitants in Ogoniland will continue to drink water with high levels of carcinogens for another 30 years, if cleaning starts today. The giant Shell Oil company has admitted liability for two spills and said that all oil spills were bad for Nigeria. It will pay all the activities related to the cleaning. This is a result of more than 2 decades fight from which many lives succumbed. In 1990 the late Kenule Beeson "Ken" Saro-Wiwa created “The Movement for the Survival of the Ogoni People” for which he died for. By means of non-violent method, they took the fight to Shell Oil and a corrupt nigerian government against water pollution caused by Shell in Ogoniland which is located in the Niger Delta in the southeast of Nigeria. In this show, we talk about the work behind Environmental Rights Action, Friends of the Earth Nigeria (ERA) organisation which plays an important role, in recent years, to bring these issue to a local, national and international scene. These practices could serve as good examples but mostly create faith in the people victims of environmental problems, mainly caused by giant and small international trading companies that are operating in the sub-saharan region. Philip Jakpor, is our guest today. He is a head of media in ERA. A journalist by profession who experienced these moments first as a journalist and then with ERA. His message to victims is critical and clear: Remain resolute in demanding justice. Never give up! Since ancient time, the struggle against slavery, racism, colonialism and neo-colonialism has never been easy in african communities. It has resulted to many ideologies and Pan-Africanism is among them. This show takes us in 1970s in South of Zambia. When Zimbabwe used to be Rhodesia and Namibia used to be South West Africa. This is the time when freedom fighters used to travel around these southern countries, singing freedom song, dancing and much more participating in drama and poetry activities to make a point about liberation fight. We will listen to some of the music. Our guest today is Izai-zai Ernest Yikona. He is a musician and chairman of Finnish - Zambian Association here in Finland. He is now 49 years old. During that time, he was living in Kabwe (Zambia). The struggle of liberation come to him and his friends in many ways. He tells us what it looks like to live in a region of conflict. Episode 16: Liberation fight - What else ordinary people would do? The aftermath of freedom fights in Southern part of Africa is felt in current respective societies. There is a lot of problems related to colonialism and neo-colonialism but also serious issues among freedom fighters, leaders and their support on how to embrace a better future. There are many unanswered questions which involves an understanding about culture and customs within these mentioned societies before colonialism. While the elite circle is trying to figure out what to do about this situation, it is also time to talk to ordinary people and listen to what the have to say about the whole picture. Beside, they are the one who are victimized by any wrong decision or doing. Our guest today is Izai-zai Ernest Yikona. He is a musician and chairman of Finnish - Zambian Association here in Finland. He is now 49 years old. During the time of freedom fight in many of the southern countries of Africa, he was living in Kabwe (Zambia). The struggle of liberation come to him and his friends in many ways. Cities offers opportunities to many people. They give different options and allows social and economics development. However, it is a challenge when cities are poorly planned. Conjunction can be the main problem along side poor services and infrastructure. The 2030 agenda of sustainable development also aims to make cities inclusive, safe, resilient and sustainable. On the other hand, villages must also be planned and part of an equal development across any country. Dar es Salaam (the capital of Tanzania) is among the busiest cities and largest port in Eastern Africa. Despite giving a roof to more than 4,5 millions of people, it continues to attract a big number of people who migrate from rural areas. Many of those who migrate to Dar es Salaam have education and skills and could compete at different work levels. This situation creates serious problem whereby villages continue to become poorer and loose potential human capital. In this show, we will discuss about this problem, considering the role of an African woman in a household. With education, many African women are attracted to different opportunities offered in urban areas and in most of cases they are leaving the countryside towards the cities. Our guests are women from Tanzania who share with us their experience. It is because of its special ambience that people choose to come to HappyHand second-hand shop. Not only customers get an opportunity to buy different products, but also they get to mingle with each other over free cups of coffee and cookies. According to its owner ADRA Finland, HappyHand has been a place whereby people’s worries and needs are listened to and understood, and eventually receive social assistance in many ways. ADRA Finland is a development and relief organization with operations in different parts of the world including providing supports to people in need in Finland. HappyHand is located in Kalio city (Helsinki). However, ADRA Finland does not only assist Kalio residents, the organisation also has many other projects around Finland, in Kenya, Nepal and Vietnam. In this show, we want to know ADRA Finland and its charity work around the globe. Our guest is Heimo Lempinen Chief Executive Officer of ADRA Finland. Many female adolescents in Tanzania drop out from schools due to different reasons such as relationship or financial related issues. In this show, we want to know what kind of assistance women and girls are getting when they start higher education to ensure they can achieve their dreams. Our guests are students and lecturers to share with us their experience. In 2015 and 2016 rain did not fall on somaliland. This affected seriously 80% of the country’s population who depend on small-scale farming. Crops did not grow, livestock died and people suffered. During this program, we will discuss more about climate change issues and how it affects livelihood in Somaliland. Our guest is Jenna Kettunen who is an adviser on sustainable livelihoods and entrepreneurship at The International Solidarity Foundation (ISF) based in Finland. ISF offers support to communities in Somaliland by giving them ideas on how to improve their livelihood. Turku University of Applied Science (TUAS) and Tumaini University Dar es Salaam College ( TUDARCo), decided to develop a concept which introduces reverse innovation model to High Education Institution in Tanzania. This project started in March 2017. In this show, we will be talking to Tanzanians assistant lecturers and students who came to Finland for training. They will share what they have learnt and tell how this is relevant to their duties. In this program, we focus on Somaliland and Kenya. We want to know how FGM affects communities and what is being done to prevent this practice and protect women from this countries. Our guest is Maria Väkiparta, an Adviser on Gender Equality at The International Solidarity Foundation (ISF) based in Finland. ISF is empowering women by preventing gender-based violence in both Kenya and Somaliland. Thus the foundation put more focuses on preventing Female Genital Mutilation in these countries. These days many people like adventures. Well, Peter Segersven does not. Sometime after he retired from his job as a manager director of operation in a business firm, a close person asked him to join in a trip to Kenya. Reluctantly Peter accepted. Then, he discussed with ADRA Finland possibilities to get some work to do in Western Kenya. A deal was sealed. Unfortunately when he got at the village in Kenya, he quickly understood that what he has agreed to do, was simply impossible. instead, after experiencing the situation on the field, he come up with a blessed idea, Livelihood project. “Livelihood” is a project for the industrial development and employment of young people with disabilities who are unemployed in the Kendu Bay and Homa Bay areas of Western Kenya. The project has directly created livelihood for about 1,000 people. Indirectly, it has generated additional income for many more. 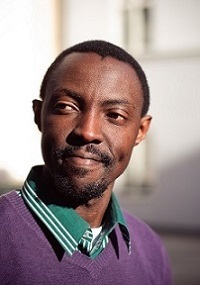 Our guest today is Peter Segersven, the Kenyan livelihood project coordinator in ADRA Finland. Around a cup of coffee, we talked about schools farming project and the employment situation for young boys and girls who leave in remote areas, Kendu bay and Homa bay in Western Kenya. The Women and Girls in Eastern and Southern African Democracy Development project has tackled, in its radio programs, different subject related to democracy development, freedom of speech and civil rights in Southern-Eastern Africa. In most of the cases, it looked at women and girls rights in relation to democracy development, sustainable development in the use of natural resources: Sustainability of food economy, women and girls right to land, food, water and energy. Finally, it observed what is being done to enhance media practices and allow women and girls rights in the media, then affecting the way they are handled by the media in relation to the aforementioned points. Today, this program will highlight some of the important solutions discussed during the project.